China Blue tapestry is a striking work which shows a collection of yellow flowers in a blue china vase on a deep blue background. Based on the work of Ben Schonzeit, this tapestry contrasts the yellow and the blue, as complimentary colors, to wonderful effect. The work of Schonzeit shows a love of still life and especially that for flowers, as in this work Chine Blue. 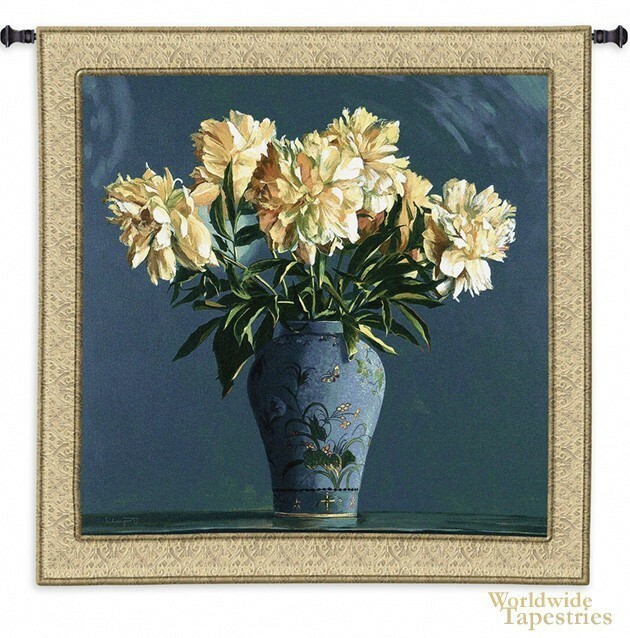 This tapestry is backed with lining and has a tunnel for ease of hanging. Note:Tapestry rods and tassels, where pictured, are not included in the price.